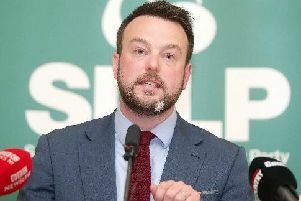 Sinn Féin’s spokesperson on rural affairs Declan McAleer has welcomed an information session to be held by the Fire Service to highlight the impact of wildfires and the safer management of gorse. In a statement, the West Tyrone MLA said: “I wrote recently to NIFRS requesting information on the advice they provide to farmers and landowners about prescribed burning and methods of managing the fire fuel load safely on their land. “The purpose of such advice is to protect communities and also to protect farmers and landowners. “I discussed the issue further with fire chiefs at NIFRS headquarters on Tuesday. During the meeting, I explained that I was aware of the inter-agency approach taken to deal with this issue in the Mournes. I added that I would be keen for the NIFRS and their respective partners to provide similar education and safety advice to landowners and farmers in the Sperrins region.